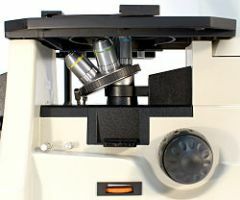 Built-in polarization system with polarizer and analyzer. 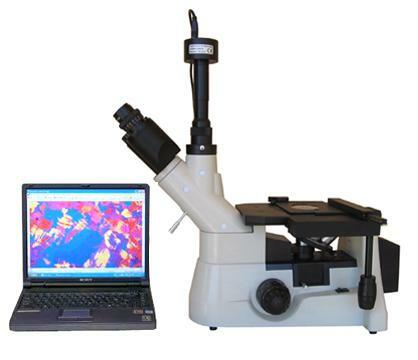 User-friendly software included for editing microscope images on your computer, recording video, emailing the images or saving them as BMP, TIFF, JPG, PICT, PTL or other files! Displaying real time live video. Measuring length, angle, area and etc. 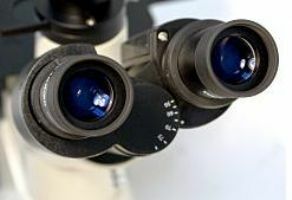 across microscope images. Fully coated optical system with high resolution. Large mechanical stage with stain resistant finish. Full optical glass elements, and Precise ground glass lens. 30o inclined 360o rotate-able trinocular head. Adjustable diopters on both eye tubes. Solid metal frame construction with stain resistant enamel finish. One year limited manufacturer warranty (Consumable parts such as lamp bulb was not included). Lifetime unlimited phone and email support at no additional charge. Eye pieces: one pair of WF10X/22 eye pieces and extra one WF10X/20 eye piece with reticule 0.1mm. Infinity metallurgical objectives, 4X, 10X, 20X, 40X &100X oil. Diaphragm: Epi-illuminator with iris aperture diaphragm and iris field diaphragm. Stage: double layer mechanical stage with size 185X150mm, and 75x50 mm travel distance range. Vertical Photo/Video Port: 23mm universal/standard photo tube (100%-0% or 20%-80%). Spare bulb, fuse and a bottle of immersion oil are included.